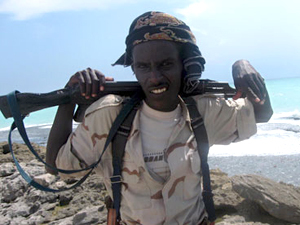 Piracy off the coast of Somalia has dropped off dramatically in 2012. Successful hijackings of American and other ships has decreased from 31 in 2011 (and 49 in 2010) to only four so far in 2012. Unsuccessful attacks have also decreased, falling from 199 reported attacks in the first nine months of 2011 to 70 attacks over the same span in 2012 — a 65 percent drop. However, diminished activity has not resulted in a decrease in the cost of sailing around the Horn of Africa. Pressure continues to mount on International trade partners to increase the security of their vessels passing through these once heavily pirated trade routes. The risks of shipping goods through these waters increased to a point where excessive defensive means were necessary, both politically and militarily. But risk avoidance has come at a high cost. Many factors have contributed to the decrease in pirate hijackings in 2012. One factor is that shipping companies have begun equipping their ships with countermeasures, namely armed guards. Anyone in the defense contracting business knows that these services are expensive. Water cannons may be cheaper, but they just don’t have the same effect. International shippers made the decision to spend X on armed guards, along with their required equipment, firearms and ammunition. In addition, the countries involved have begun increasing their naval presence, coordination and response plans to counter these activities, all at increased costs. This all to protect a bounty worth Y. We expect that if and when X exceeds Y that these practices will be suspended, and the shippers will go back to taking their chances. Somali (and other) pirates on the other hand, could at one time hijack a ship with four men, a couple of Kalashnikovs and a ladder, at a cost of X. To be successful today, they require far greater coordination, communications, firepower and manpower. Their costs have increased dramatically, while the bounty remains at Y. Factor in the recent increase in likelihood of death by armed paramilitary, and the decision becomes even clearer. The costs have outweighed the benefit. Any organization today can apply the same methodology to make decisions about the procurement and implementation of security controls, even though they may not be shipping food, fuel and jewelry through International waters. Did these investments address your most critical risks? Were these investments worth it? Like any good cliffhanger, I’ll leave the responses to another post. Let me instead redirect and suggest that you ask yourself the same questions of your own investments. You may also want to ask yourself if you’re the shipper, the pirate or both. Luckily for us, we’re the armed guards. Fantastic blog this week, Reginald!